1.50 a.m. The Titanic had about half an hour to live. 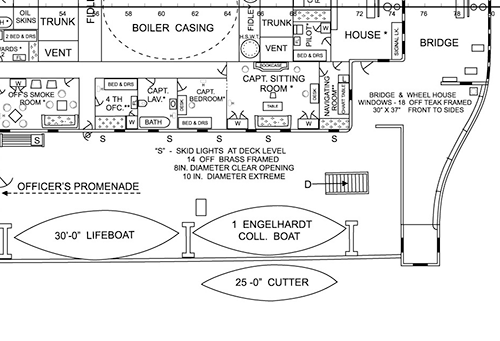 Crew members had prepared collapsible boat C on the starboard side of the ship, near the bridge. Quartermasters Arthur Bright and George Rowe had fired rockets and had assisted in getting boat C ready. Arthur Bright left and went to the port side of the ship, but George Rowe remained. This area near the bridge was mainly a crew area. The first class promenade deck began just aft of where the boat had been fitted into the empty davits after boat 1 had left about half an hour earlier. About 80 first class passengers had left in boats 1, 3, 5 and 7 on the forward part of the boat deck, virtually emptying the promenade deck of passengers. Second and third class passengers had no access to this part of the ship and subsequently, the boats mentioned contained only first-class passengers and crew. The only boat in davits in this part of the ship now was boat C, with a nominal capacity of 47 people. 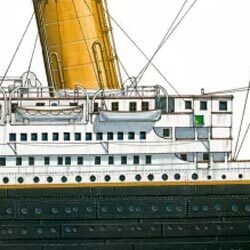 There was another lifeboat left, boat A, but that boat was stowed away on top of the officer's quarters and was not ready for use yet (it would later float away from the Titanic, damaged). 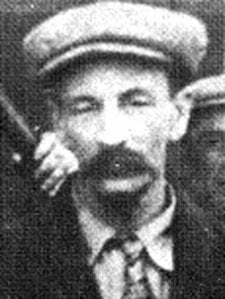 Bruce Ismay, one of the owners of the White Star Line, to which the Titanic belonged, had been busy assisting passengers into the lifeboats on the starboard part of the forward boat deck. The rule had been ''women first, then men,'' and most surviving male first-class passengers had left in those boats, many with their wives, some on their own. This work done, Mr. Ismay now found himself standing near boat C. He was not alone. 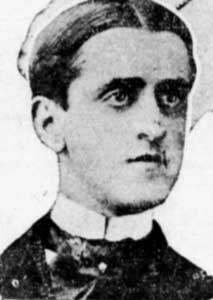 William Carter, another first-class passenger, was also there with him. Mr. Carter had seen his wife and two children into boat No. 4 on the port side and had then gone to the starboard side of the ship, ending up near where boat C was being made ready for lowering. The two were now wondering whether they should try to get into this collapsible boat in front of them or not. There were no other passengers around and the boat was not full. When the boat was about to be lowered away, they decided to enter it. According to Woolner, thus, the 'first officer' (he may, in fact, have been referring to chief officer Wilde rather than first officer Murdoch) fired a gun into the air and the men ''swarming'' the boat were crew members. 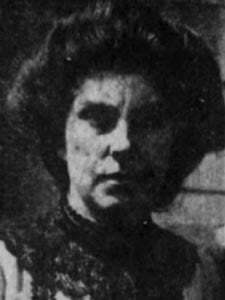 Mrs. Goldsmith also mentioned gunshots into the air but, like Mr. Woolner, indicated that nobody was hurt. Others do not mention any shooting at all. Quartermaster Rowe was put in charge of the boat and had five or six other crew members with him when the boat left the ship. He would say that the boat contained 39 people, but the crew had a marked tendency to exaggerate the number of people (particularly women) in their boats. Steward Pearcey, the only other crew member who testified at either hearing, stated there were 71 (!) people in the boat. If one accepts the estimates of the crew members in the different boats, there would have been over 900 survivors, including about 700 women, which of course is incorrect. Boat C did not pick up anybody from the sea. I took them (the distress signals) to the forebridge andturned them over to the fourth officer. I assisted the officer to fire them, and was firing the distress signals until about five and twenty minutes after1*. At that time they were getting out the starboard collapsible boats. The chief officer, Wilde, wanted a sailor. I asked Capt. Smith if I should fire any more,and he said "No; get into that boat." I went to the boat. Women and children were being passed in. I assisted six, three women and three children. The order was then given to lower the boat. The chief officer wanted to know if there were more women and children. There were none in the vicinity. Two gentlemen passengers got in; the boat was then lowered. When we reached the water we steered for a light in sight, roughly 5 miles. We pulled through the night, but seemed to get no nearer to the lights. So we altered our course backto a boat that was carrying a green light. During that time daylight broke and the Carpathia was in sight. There was nothing special aboutyour getting on the Carpathia? No, sir. 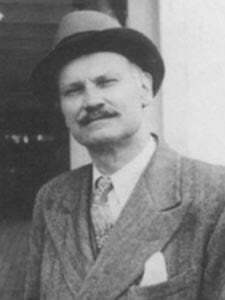 In the meantime I foundthat one of the two gentlemen was Mr. Ismay. I don't know who the other was.Thirty-nine in the boat, all told. You say there were 39 passengersin the boat? Not all passengers, sir; 39 all told. How many of those were crewor sailors? Myself was the only sailor, three firemen, and one steward. Now, tell us the circumstances under which Mr. Ismay and that other gentleman got in the boat. When Chief Officer Wilde asked ifthere was any more women and children there was no reply. So Mr. Ismay cameaboard the boat. Mr. Wilde asked were thereany more women and children. Can you say there were none? I could not see; but there were noneforthcoming. You could see around thereon the deck, could you not? I could see the fireman and steward that completed the boat's crew, but as regards any females I could not see any. Were there any men passengers besides Mr. Ismay and the other man? Was it light enough so thatyou could see anyone near by? *1.25 by unaltered ship's time would be 1.48, i. e. 32 minutes before the Titanic sank. Elsewhere, he said the Titanic listed to port (about 5 or 6 degrees) when boat C left the ship...At the time the boat was being lowered the rubbing strake kept catching on the rivets on the ship's side, and it was as much as they could do to keep her off, he said. ''..I went to the boat deck...I there saw two babies on the deck, picked them up into my arms, and went into a collapsible boat on the the starboard side. -Who told you to go? -Mr. Murdoch, the Chief Officer, told me to get inside with the babies. -What was your own boat? -No. 3, but it had gone. -Who were in the collapsible boat? -Women and children, three firemen and myself. There were altogether 66 passengers and five of the crew. -The quartermaster. I don't remember his name. -Had the ship a list? **1.40 by unaltered ship's time would be 2.03, i. e. about 17 minutes before the Titanic sank. ''There was room in the boat, but they would not let the men come, '' sobbed Mrs. Goldsmith as she entered the home of her parents, Mr. and Mrs. Henry Brown, 115 Butternut Street. 'The boats were swung off from the upper deck, '' said Mrs. Goldsmith. The women and children were allowed to go up there and get in the boats. The men were kept on the deck below and had no chance to get in, although I think there was room for several of them. But the officers stood with drawn revolvers, which they used once or twice. There was room in our boat, but they wouldn't let the men come ''Except when some of the foreign steerage passengers attempted to rush the boats, there was little excitement,'' said Mrs. Goldsmith. ''Several of the men forced their way to the upper deck and jumped into our lifeboat. But the officers were firm and drove them back. One of the men in our boat pointed his revolver at them and then fired three shots in the air. That brought them to their senses and as they evidently preferred a chance with the Titanic to certain death to shooting if they remained in the lifeboat, they scrambled back on (onto?) the deck. Four Chinamen refused to get out, but crept down among the women and remained there. The officer did not dare fire at them for fear of hitting the women, and the boat was lowered with these four in it. Wave of Hand Only Good-Bye. Frank and Alfred were close to the rail on the deck below as we were lowered past it, but we were all so dazed that we hardly said a word, just waved our hands. I thought then that they would be able to get away on another boat or a raft. One woman floated all night on a raft and was picked up just before we were rescued by the Carpathia. May Howard escaped together with Mrs. Goldsmith and Miss Emily Badman. I started from Southampton, England to visit my sister in Albion and owing to the coal strike was prevented from shipping on one of the smaller ocean liners that left previous to the Titanic. I left Southampton with a friend of mine, Mrs. Emily Goldsmith, her husband and son. One of the officers grabbed Mrs. Goldsmith and myself and pushed us to the edge of the ship where the lifeboat was being filled with women and children. An officer there shouted ''All men back, women come first.'' There was no attempt of any of the men to get into the boat and when we left the Titanic our boat would easily have carried fifteen more had they cared to leave the ship, but they did not realize that the ship was in danger and refused to enter the small boats... The life boat in which I left the Titanic was the last but one of those picked up by the Carpathia. Our boat was a collapsible one and the one that followed us was the one that was washed off the deck as the ship sank. Sarah Roth was also in the company of the Goldsmiths. She stated that they had been directed to a narrow ladder leading to the first class deck, where they then entered a lifeboat. Swedish third class passengers Hilda Hellström was very likely another passenger in boat C. ''When I reached the deck, I managed to get into one of the last lifeboats. One of my Swedish friends was with me in it. The boat was full of Italians. In the terrible cold the poor Italian children were almost frozen stiff, and to protect them a little, my friend and me took our coats off and wrapped them around the poor little ones.'' (Nordstjernan, 23 April 1912, 7; the translation from Swedish is mine). It is not known who her friend was, but there is a chance the friend was Velin Öhman. It is not exactly known who the other passengers in boat C were, albeit many seem to have been of Syrian/Lebanese extraction. Jamilia Nicola Yarrad and her brother Elias may have been two of them. Miss Nicola Yarrad later said her boat was swept against the side of the ship, which corresponds to what happened when boat C was lowered. In 1912 she said in the Boston Journal that there were few people in her boat, including six crew members and two men passengers. 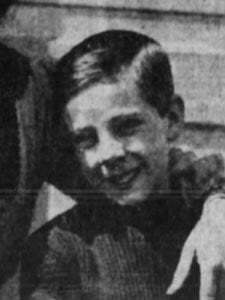 There were also two first-class passengers in the boat; William Carter and Bruce Ismay. How come they got away in it? Bruce Ismay was heavily criticized for having escaped at all. What did he have to say about his escape? 'It is absolutely and unqualifiedly false that I ever said that I wished that the Titanic should make a speed record or should increase her daily runs. I deny absolutely having said to any person that we would increase our speed in order to get out of the ice zone or any words to that effect.....I then returned to my room and put on a suit of clothes... I then went back to the boat deck and heard Captain Smith give the order to clear the boats. I helped in this work for nearly two hours, as far as I can judge. I worked at the starboard boats helping women and children into the boats and lowering them over the side. I did nothing with regard to the boats on the port side. By that time every wooden lifeboat on the starboard side had been lowered away and I found that they were engaged in getting out the forward collapsible boat on the starboard side. I assisted in this work, and all the women that were on this deck were helped into the boat. They were all, I think, third class passengers. As the boat was going over the side,Mr. Carter, a passenger, and myself got in. At that time there was not a woman on the boat deck, nor any passengers of any class, as far as we could see or hear. The boat had between thirty-five and forty in it, I should think, most of them women. He also testified to the same effect at the American and British investigations. ''The statements which have been made by many persons regarding Mr. Ismay's conduct are an injustice to him. While the lifeboat containing myself and Mr. Ismay was moving away from the Titanic Mr. Ismay rowed with two seamen and myself until we sighted the Carpathia. The women and children that were in the boat were from the steerage. I suppose there were about forty of them. Mr. Ismay and myself and several of the officers walked up and down the deck crying, 'Are there any more women here? We called for several minutes and got no answer. One of the officers then declared that if we wished to we could get into the boat if we took the place of seamen. He gave us this preference because we were among the first cabin passengers. Mr. Ismay called again and after we got no reply we got into the lifeboat. We took the oars and rowed with the two seamen. We were about a mile away from the Titanic when she went down. It seemed to me that it was less than half an hour. All the women were clad in thin clothes, while I was in evening clothes, without a hat, and had a pair of slippers. I looked around just as the Titanic went down, being attracted by the explosions. Mr. Ismay did not turn and look, but instead was very quiet, pulling on the oars. In conclusion, boat C was lowered away about 2 o'clock, some 20 minutes before the Titanic sank. The number of occupants has not been established exactly, but there seem to have been 30-35 people in it, including Quartermaster Rowe (in charge), pantry steward Pearcey, three firemen/trimmers, Mr. Carter and Mr. Ismay from first class, four Chinese third class passengers, Mrs. Emily Goldsmith and her son, Miss Badman, Miss Howard, Miss Roth, and Miss Hellström with a Swedish friend (Miss Öhman? ), as well as a number of Syrian/Lebanese passengers, likely including Miss Nicola Yarrad and her brother Elias; there were others, but their names are not known as yet. There was some commotion near the boat when men (allegedly crew members) ''swarmed'' the boat and an officer fired shots into the air, hurting nobody. Four Chinese passengers remained in it. The boat rubbed against the ship's side when it was lowered away but got away without any real difficulty shortly before the Titanic sank. The last boat but one to be lowered away from the Titanic.